PDF is a generic document format created by Adobe that become increasing popular with the internet, in the mid-90's. It is nowadays, by far, the dominant format for complex document publishing on the Internet. While HTML is used to create pages, PDF is used to publish "printed" or "for print" documents. It is the usual format for internet publication of corporate accounts reports, brochures, e-Books and all other multi-page documents. It's popularity lies on the fact that it can preserve all formatting from the original documents, regardless of what software was used to make the original, and that it's reader (Adobe Acrobat Reader) is free and available for most computer platforms (Windows, Mac, Linux, etc). So, a PDF document will be freely readable by almost everyone, while retaining all original formatting. Try that with any other document format! But while reading someone else published PDF's is easy, making them is another story. The free reader is only that, a reader. You can't make PDF files with it. But making PDF files can be as easy as printing, and for Free. There are several options to create PDF's. One of them is to buy the commercial Adobe Acrobat package and make them page by page. But this is not how most are made. 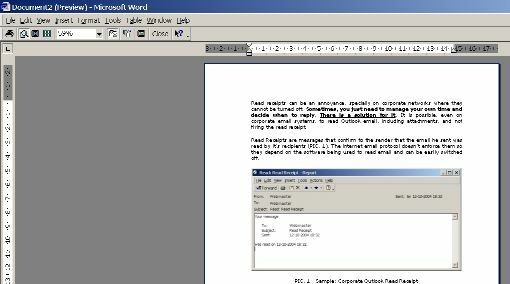 Let's face it, most people already have software to create documents, in their Office suites, like Microsoft (r) Office. Documents are created with Excel, Word, PowerPoint, not Acrobat. And nobody wants having to learn new software, specially when Acrobat is not the most user-friendly document-creation application. So all PDF making packages, even the Official Adobe Acrobat package, have a PDF Printer. 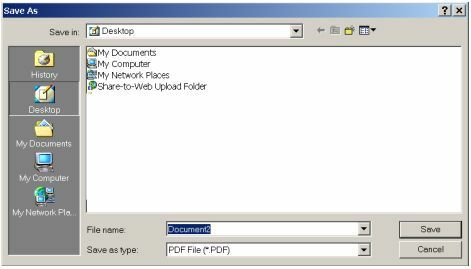 To generate a PDF, simply print it from the application you used to create your original document (Word, PowerPoint, etc) using the PDF Printer. You will be prompted to enter a filename and to select a folder to save it, like when saving files. Still the best PDF generator, the one that supports almost all document formatting and the one that allows you to manually fine tune the resulting PDF file. It is a commercial software and can be bought from retail and from several websites, including Adobe's own online store, where it's priced at US$299.00* for the Standard Edition and US$499.00* for the Professional one. With it you get not only a PDF Printer, but a full application where it is possible to open PDF files, manually edit/delete/insert pages, insert pages directly from a scanner and all other fine tuning only manual options allow. But this is an advanced users need. Most regular users will only need the PDF Printer, because their documents are generated elsewhere, and for that the FREE alternatives are appropriate in 99% of the cases. Getting a PDF Printer: The FREE Options ? PDF995 is completely free to use but will display advertisement when used. This is a small annoyance and it is not spyware. Adds are only shown when the software is used, and only one per use. So it is a fair deal where you get (very competent) free software in exchange for advertisement, but only when you do use the free benefits. It is very complete and includes most options you will ever need. The PDF files are clean and free of any mention to the application that generated them. If you do want to get rid of the ads, you can get a paid license for US$9.95* each utility (US$19.95* for all three applications) from their website. GO2PDF is another free PDF Printer, but will add a non-removable (unless you do have a PDF Editor, but then you don't need it) line at the bottom of each page stating that it was generated by a free version. So it is unacceptable for commercial web publication, but will work fine for internal and personal use. It will show no adds. The reference line can be removed by upgrading to the paid version, with licenses starting at US$89.95*. It is common to ear that PDF documents are safer to sent to third parties (than alternative formats like Word) because they cannot be changed by the recipient, only printed and read. But this is wrong. 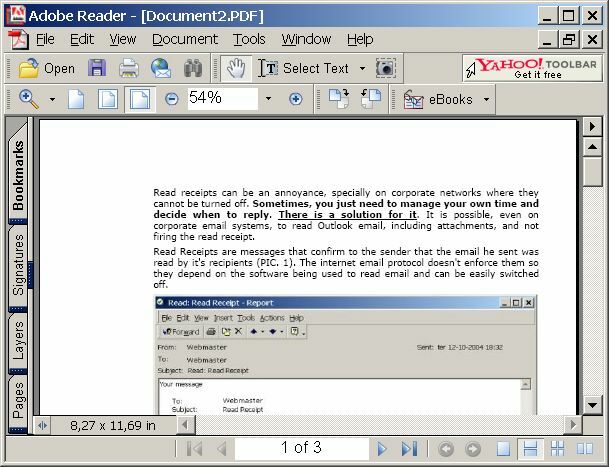 This perception is based on the fact that most users only have the PDF Reader, and therefore cannot edit the files. But any user with an editing package, including the FREE PDF995 Editor, will be able to make changes to a PDF file. Unless it is locked. Notice that, by setting security options, you can opt to enable/disable options like printing. It is possible to make PDF's that do not allow themselves to be printed. * - All prices quoted on this article where valid on 5/31/2005.